Division 1 lines up for the start at Hillarys. Jack Tar (HY4) with Hard Evidence and Seachange. 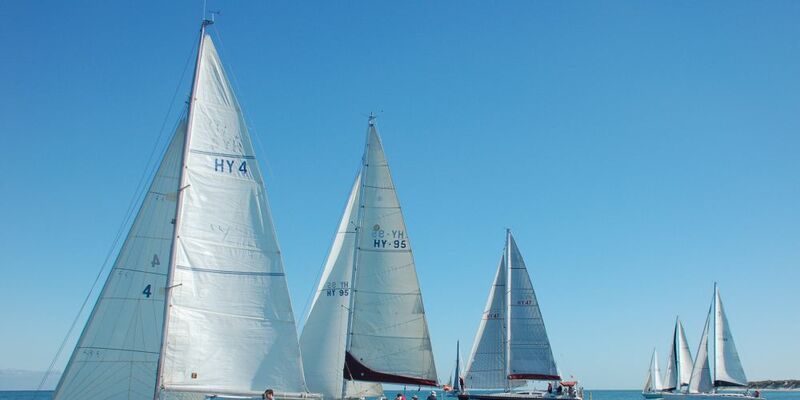 THE race to Rottnest on Saturday and the return race to Hillarys on Sunday completed Hillarys Yacht Club’s eight race Ocean series on the weekend. Sailed in light and variable winds from the south, the skippers’ skills and patience were tested. In division 1 first over the line going to Rottnest was Roric Smith sailing the very fast Pogo 12.5 Surfer Rosa however was second on handicap to Sandrine (Ian Conboy) with Lamotrek (John Akers) third. Covert Operation (Bart Brouwer and Graham Atkinson) was first and fastest in division 2 with Blue Chip (Keith and Deborah Fisk) second and Helga (Mark Taylor) third. In division 3 Comfortably Numb (Stephen Okeefe) was first over the line and second on handicap to Pandora (Chris Kelly) with Sensei (Brett and Lynda Bailey) third. Pandora, nearing Rottnest, beats to windward. The return race to Hillarys began in a light easterly before it turned to the south and strengthened providing a faster spinnaker run home. John Akers on Lamotrek continued his good form to just pip Bill Gilbert on Jack Tar with new owners Scott Eiszle and Neil Ireland, third on Dart Vader. 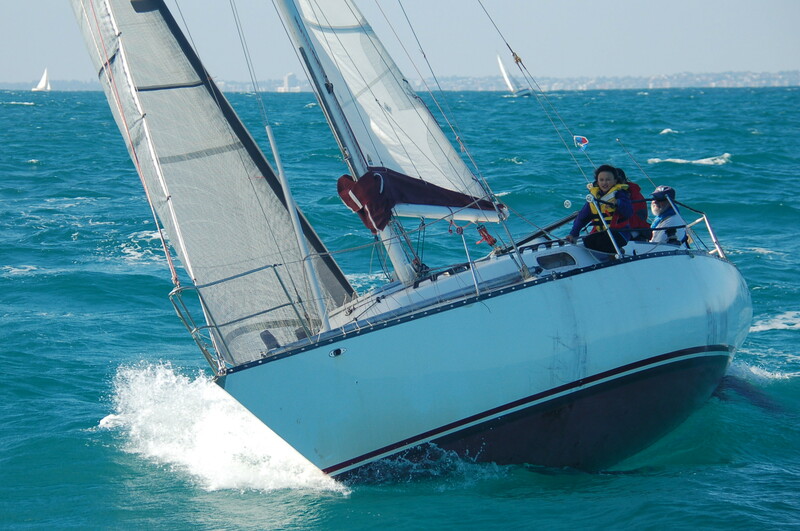 In division 2 the HYC Youth Squad sailing Xtreme showed they could concentrate for four hours winning ahead of Helga and the fastest yacht Covert Operation. In division 3, as the only two starters, the results for Pandora and Comfortably Numb were a repeat of Saturday’s race. With most results for the various series conducted over the season now settled and with only one remaining race everyone is looking forward to the celebrations of trophy presentations in May.